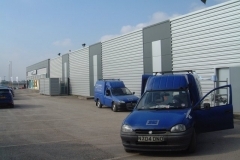 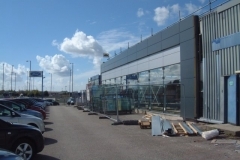 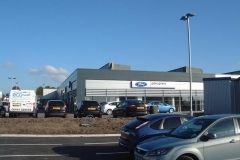 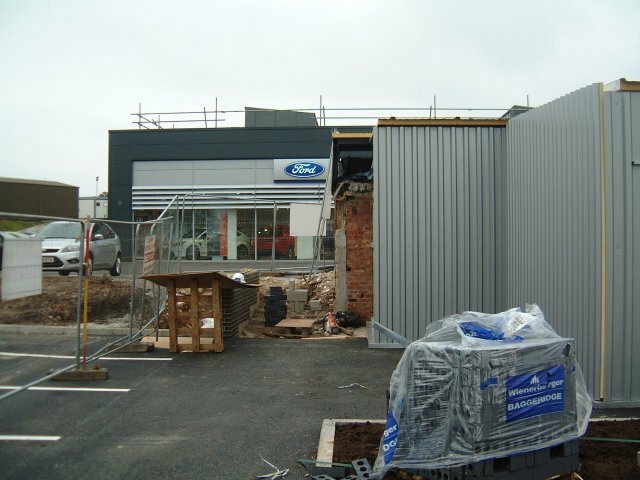 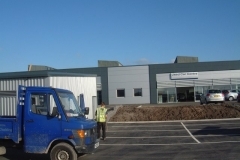 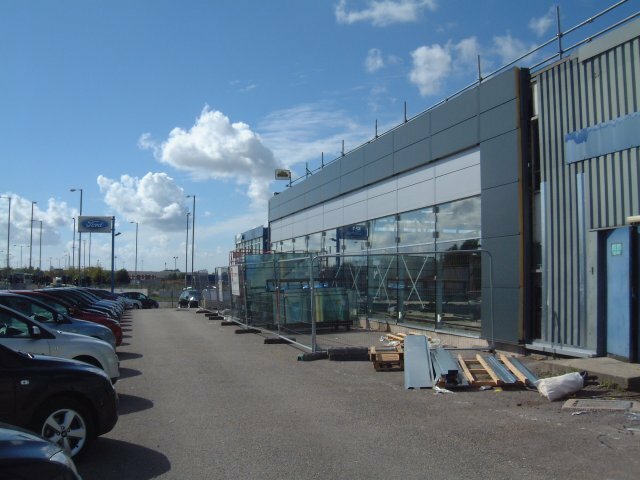 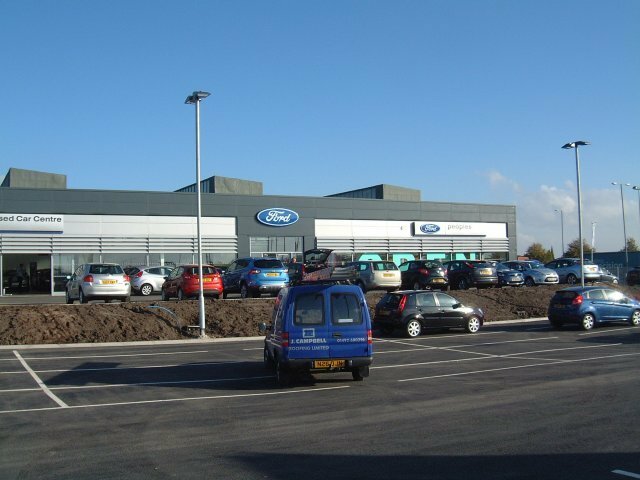 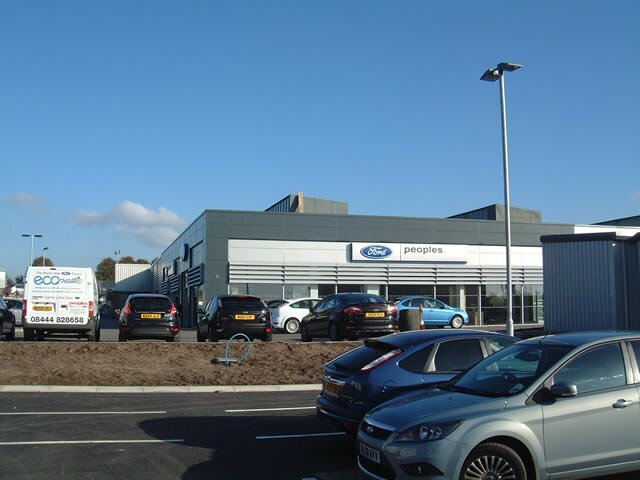 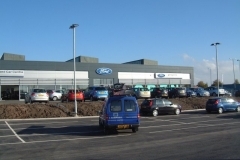 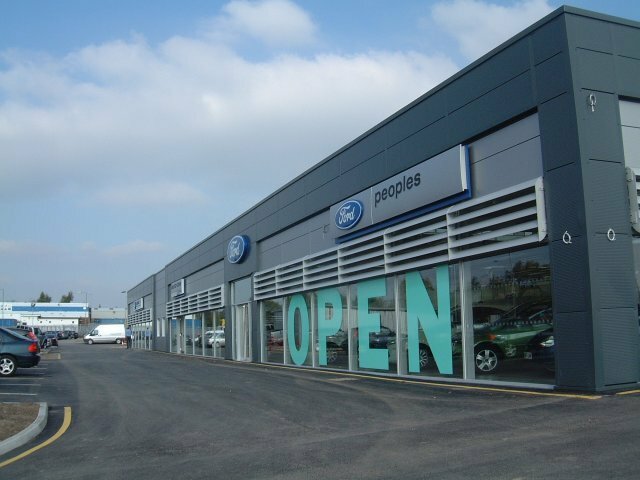 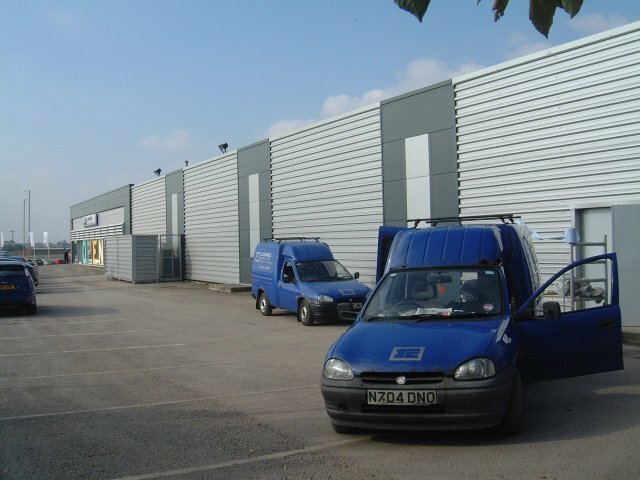 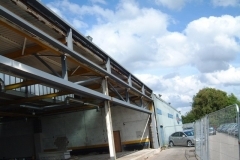 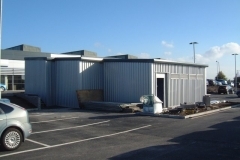 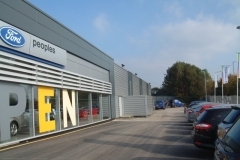 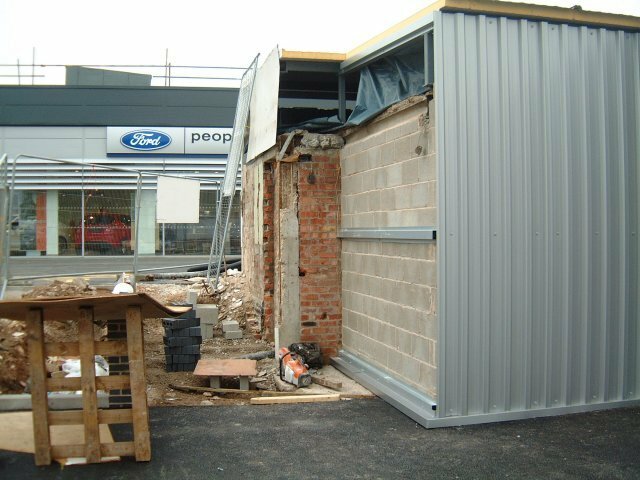 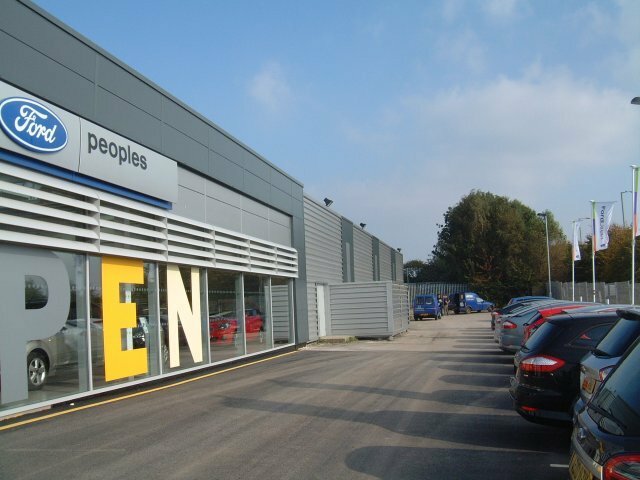 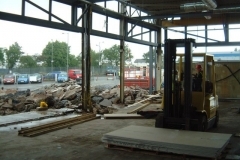 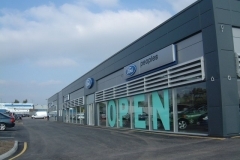 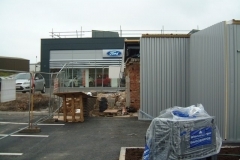 J. Campbell Construction Limited were employed as specialist cladding sub-contractor for the Showroom refurbishment at Peoples Ford in Liverpool. 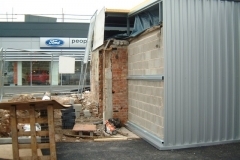 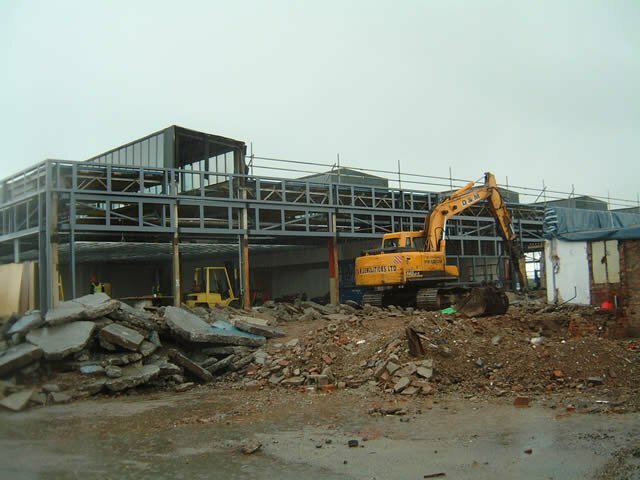 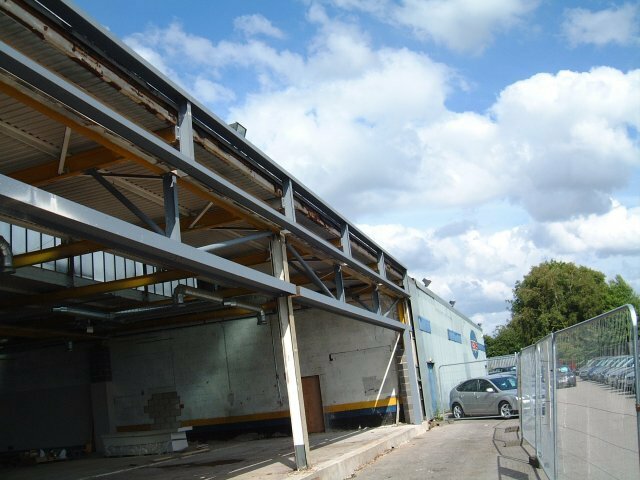 This was a particularly challenging project as the Client remained open for business for the duration of the works. 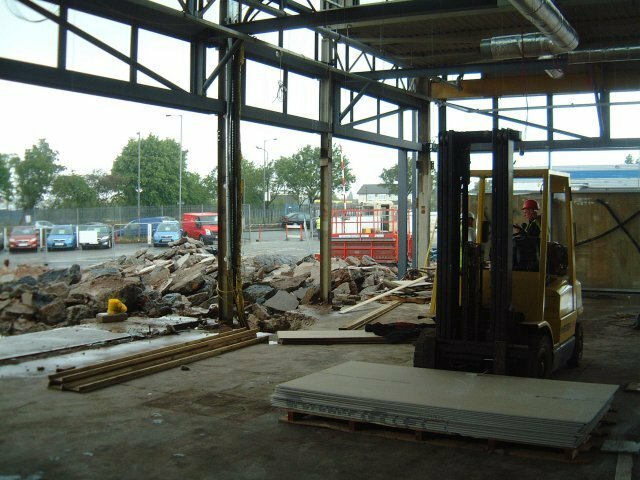 We had to liase closely with The Main Contractor, other Sub Contractors and Demolition Crews etc to ensure the smooth running of the works. 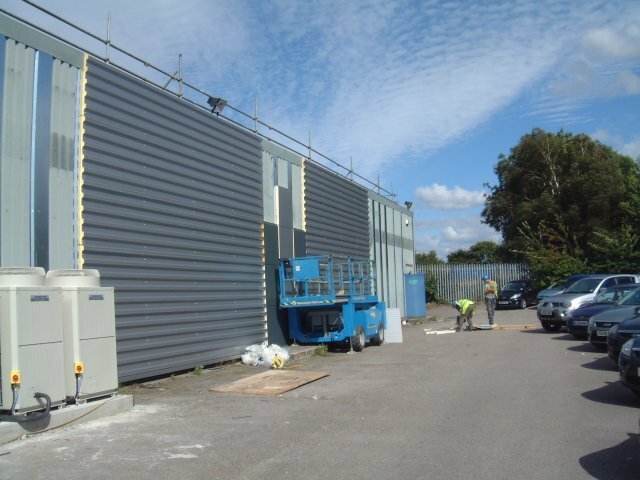 Kingspan KS1000MR100 horizontally laid wall cladding panels in Spectrum Metallic Silver RAL 9006 and Spectrum Anthracite RAL 7016 were installed on this project. 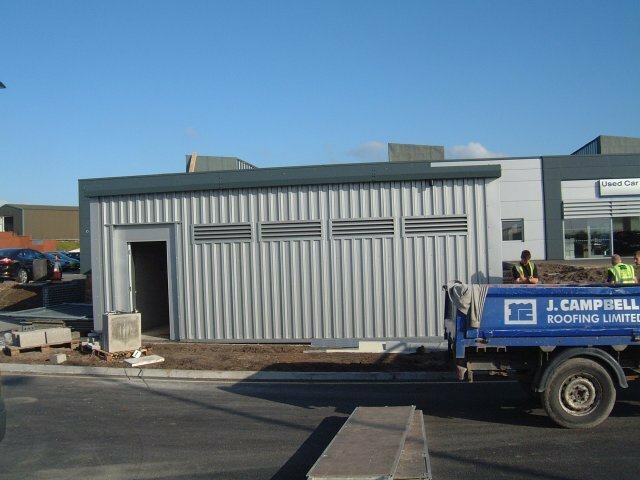 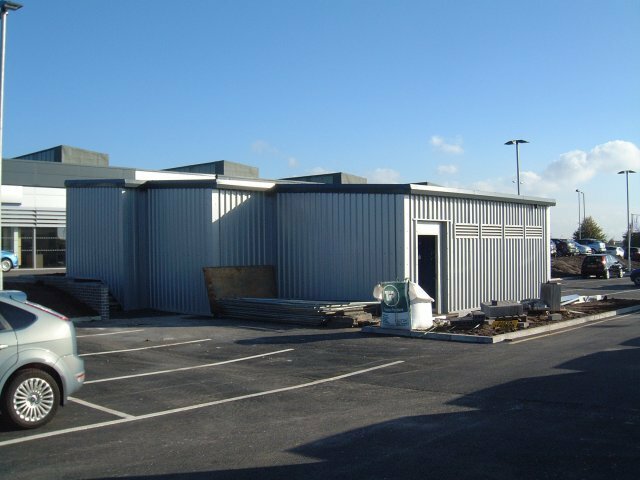 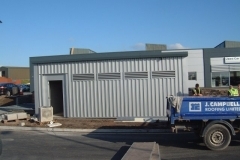 The vertically laid over-cladding panels to the workshop and sub-station were Kingspan KS1000FC in Spectrum Metallic Silver RAL 9006. 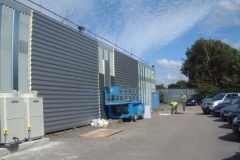 Flashings were supplied in a combination of Metallic Silver RAL 9006 and Anthracite RAL 7016.